I purchased the Â dead tree version of the Â 2014 guide. Is there a way to get a download of the stat projections? Thank you for all the work you put into the Guide! In all the years past, we’ve posted updated projections and 5×5 prices here at this site in mid-March. 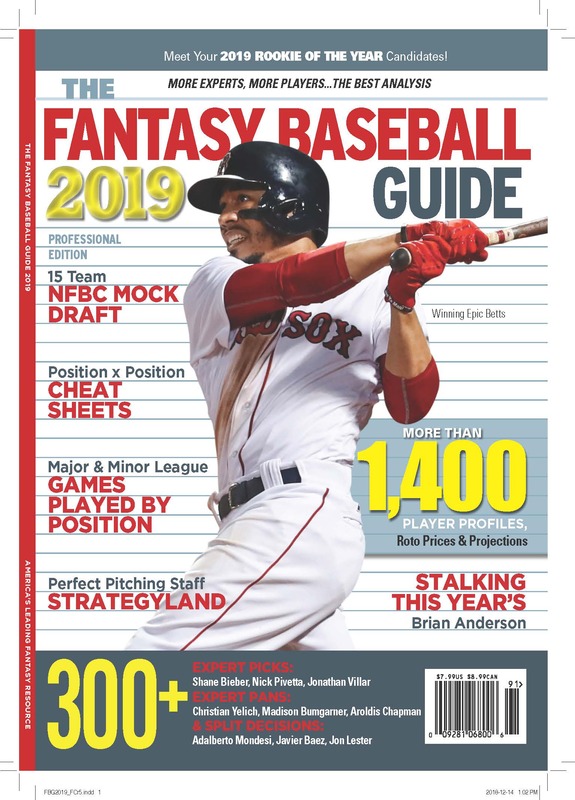 This was a way to get all the magazine buyers an updated slice of the fantasy baseball scene, and nobody has ever asked for an earlier one. So that’s the way we’ve done it. It just so happens that we’re putting the finishing touches on the Patton $ Online product Alex Patton and I sell each spring, and my updated projections are a part of that. They’ll be improved and upgraded weekly during spring training for buyers of the Patton $ Online package we sell at software.askrotoman.com, which also contains bid prices from Alex Patton and Mike Fenger and lots more. Visit software.askrotoman.com for the free 2013 Evaluator software and a full description of the program. You can find a link to the spreadsheets on this page. The password is the first word of Rick Wilton’s Injury Report in the Guide on Albert Pujols (on page 80). There will also be the regularly scheduled update in mid-March, here at blog.askrotoman.com.